In China and Dinnerware > Restaurant Ware > Show & Tell. Ted_Straub saved to Restaurant ware…. These three interesting items were produced by Buffalo China, the soup cup is from 79-86, while the airbrushed plate is from October-December 1972, and the patterned plate was made in the first quarter of 1972. 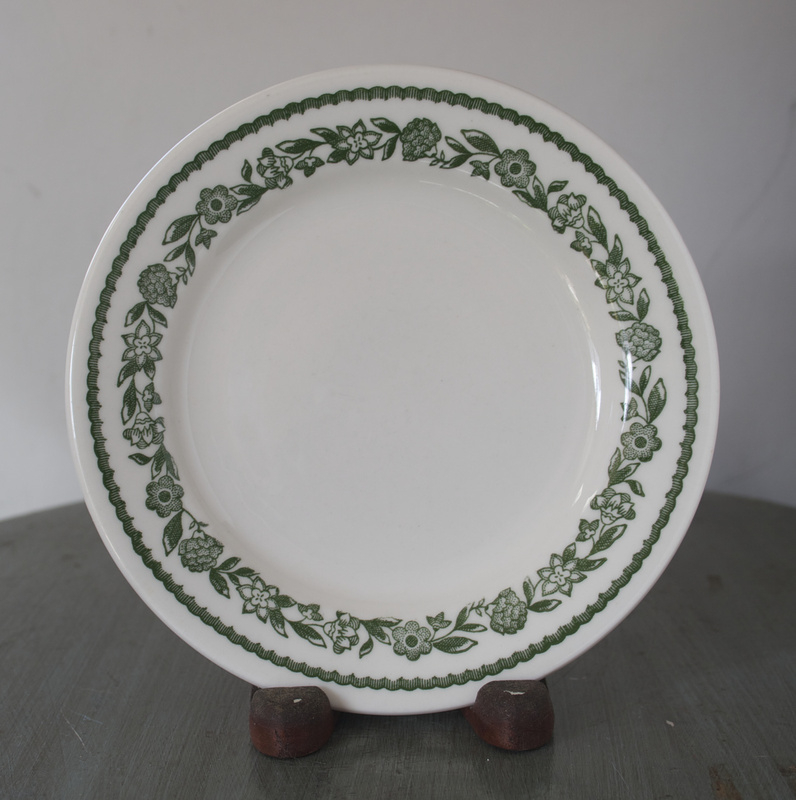 Unfortunately, I can not ID any pattern, but the third might be the Kenmore pattern….. 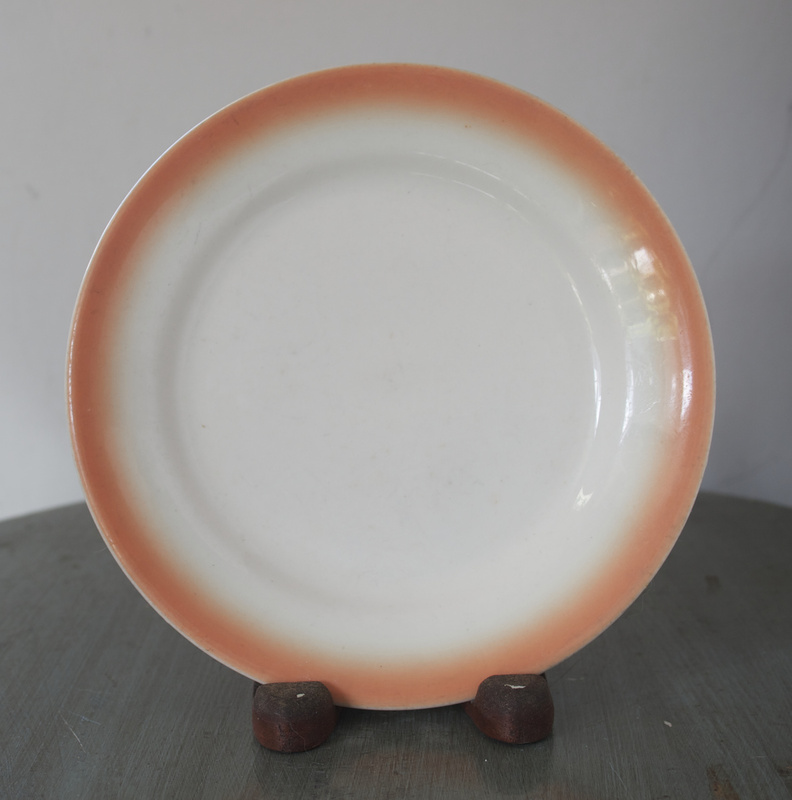 The plates are 6.25 inches (15.6Cm) in diameter. Its cheery airbrushed color of the first brightens up the dull Winter days. The green one lifts the Spirits, too. The pieces that are not so rare, and that I have duplicates of, get good use at mealtime at home here. Hi, aghcollect…thank you for the love of these items…..
Love it T! My fav! Thank you, J….such things are my favorite, too :) !!!!! Hi, PatSea…. I appreciate your love of these ceramics…. Hi, Dave, thanks for the love! Good morning, Sean…thanks for the love, which I truly appreciate! Your very welcome Ted and good morning to you!! Thank you, CindB….your love of these is appreciated! @ v-50….thank you for the love! 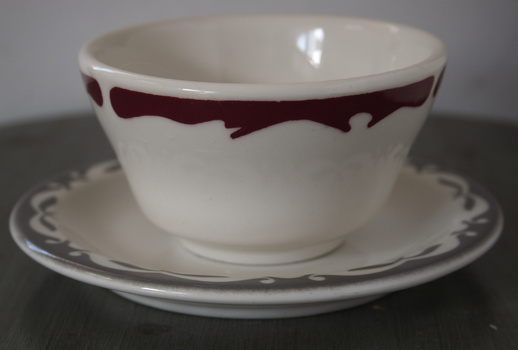 Restaurant Ware --> Buffalo China used in Restaurants. Hi, Rose…..thanks for the love, and for your research on the patterns! You are very kind, and I appreciate it…..
Hi, Trey…thank you for the love! This stuff cuz I remember that it was in every diner everywhere ! I try to collect some also, just for the nostalgia. Hi, Lambda55…sorry to have taken so long to have gotten back to you. Yes, i have a few pieces with the buffalo on the bottom. Ironically, some of the earlier pieces also had a buffalo on the bottom, but it was a different design. You can look up "restaurant ware" on the net, and you will find charts and pictures of backstamps and date codes of the plate manufacturers. Yeah, I think that I like this stuff for the same reasons that you do. It is fun collecting these things! When I saw the three sectioned dinner plates at an auction, they brought great memories of old diners. Luckily, I obtained these. Keep in touch, we can discuss these things further…it would be fun! Thank you, robin56…I appreciate the love!